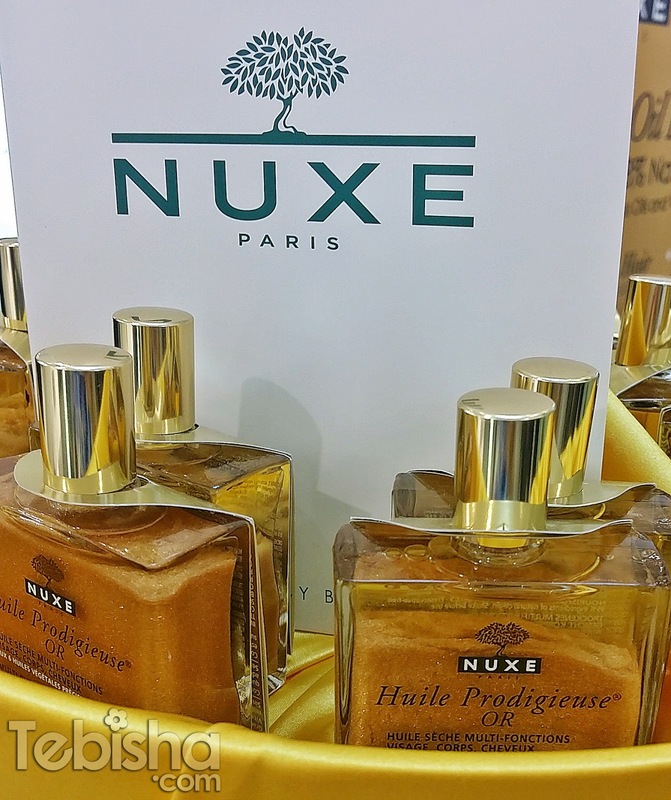 To celebrate the launch of the Limited Edition Huile Prodigieuse & Huile Prodigieuse OR, Nuxe has started their search for their brand ambassador, Miss Prodigieuse. 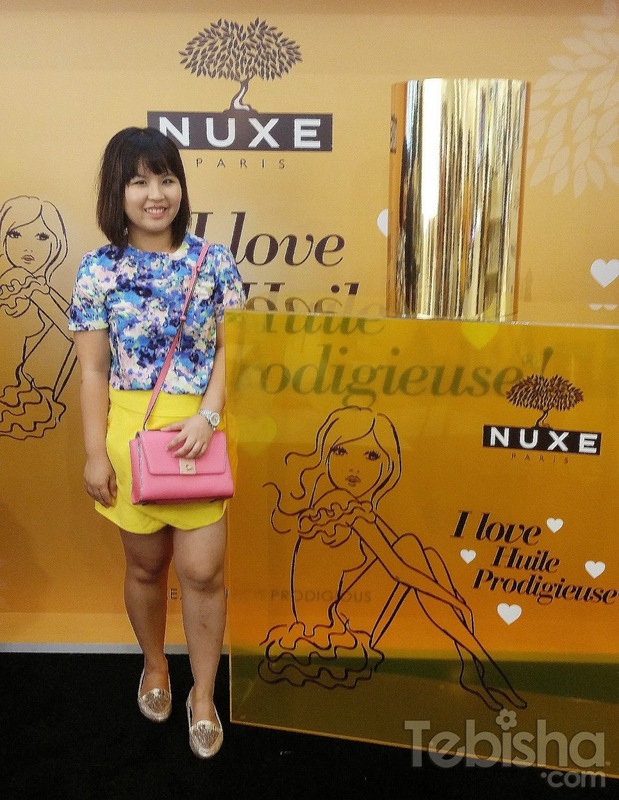 I was invited to a Special Event organized by Nuxe earlier this month, which I get to know history of the iconic Huile Prodigieuse and gained some useful beauty tricks and tips from Mr Ryan Lau, Regional Education Manager for APAC from Hong Kong. From the slogan One Oil For All, you can know that Huile Prodigieuse / Huile Prodigieuse OR is a multi-usage oil which can use on your body, face and hair. Huile Prodigieuse – 98.1% of the ingredients in this Dry Oil are of natural origin, it is a unique combination of 30% Precious Plant Oils and Vitamin E to nourish, repair and soften your face, body and hair in a single step. Huile Prodigieuse OR – 95.2% of the ingredients in this Shimmering Dry Oil are of natural origin, it is a unique combination of 30% Precious Plant Oils and Vitamin E.
Mix a drop of Huile Prodigieuse with your usual foundation for easier glide-on application with no sticky effect. Spray a little Dry Oil into the palm of your hand then gently tousle your hair for a natural result. 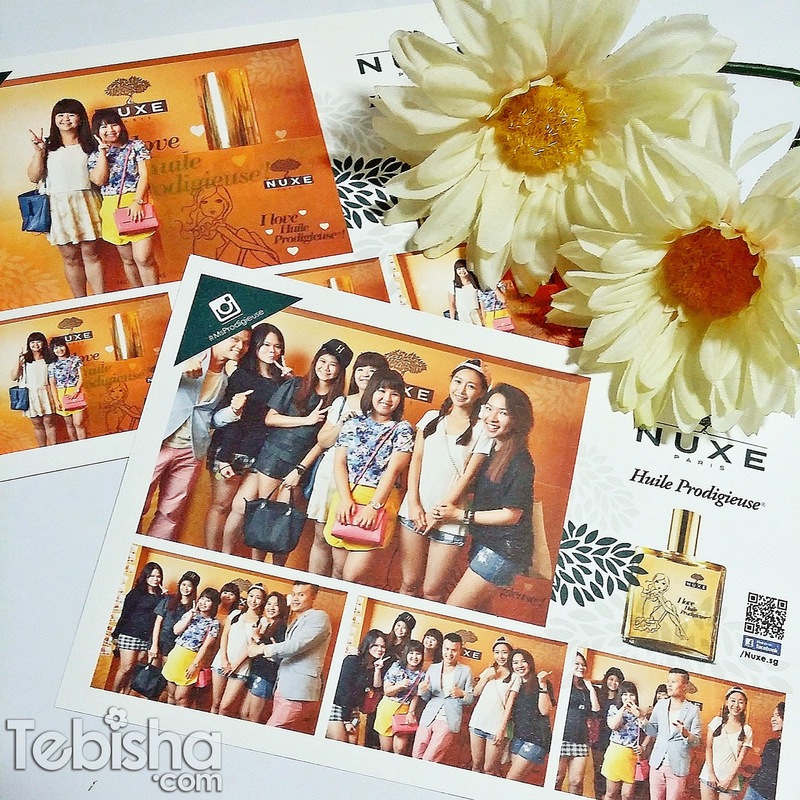 Thanks Nuxe SG for the invitation! Now its your chance to Be the Next Miss Prodigieuse! Up to S$15,000 worth of cash and prizes to be won! Like Nuxe SG Facebook For more information of Huile Prodigieuse & Miss Prodigieuse Search.